After losing a son, Feherty relies on his support team to live a complex life of his own. It’s a rainy night in Georgia, and David Feherty is on fire. He has been on stage at Atlanta Symphony Hall for almost two hours, and those in the audience of about 1,200 have only stopped laughing when one of his stories brings them to tears of hysteria. “Tiger Woods is funnier than people know,” Feherty says at one point. “When I was walking with him for CBS, he used to pull the brim of his hat down low so the cameras couldn’t pick up what he was saying—he was convinced everyone watching could read lips. People can’t stay in their seats, they are laughing so hard. One woman, who has been letting out loud whoops at the punch line of every story, doubles over, unable to stop laughing. Twenty-four nights a year, Feherty does his act—three nights a week on eight occasions. He does an hour and 40 minutes of straight stand-up, pausing only occasionally for brief sips of iced tea. The stand-up is his life story—told as only he can tell it. It includes a good deal of bathroom humour, plenty of profanity and some poignant moments, especially when he talks about his parents and his wife, Anita. 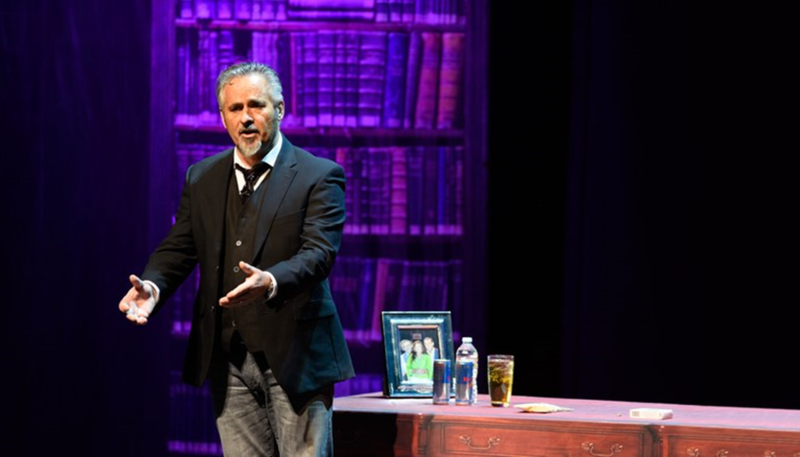 After the stand-up, he pulls a chair out from behind the desk that is designed to look like the set of his TV show, “Feherty,” and does 20 minutes of Q&A with his audience. On this night, the Saturday of Masters Week, he is asked—predictably—why he isn’t in Augusta. “I’d rather be here with you,” he says. Then he points out that he’s no longer with CBS, which has the broadcast rights. What he doesn’t mention is that Golf Channel, which is part of NBC, his current employer, would love to have him there during the week to add some much-needed humour to the shows it does before and after live coverage. Except that Feherty has an agreement that he doesn’t have to work Masters Week. Which means he’s telling the truth when he tells his Atlanta audience, he’d rather be with them. That doesn’t mean he isn’t terrified every minute of the evening. Very few subjects are out-of-bounds in Feherty’s routine. He talks about his parents, about his first wife, about Arnold Palmer and Jack Nicklaus and Ken Venturi and Tiger Woods. The only person he doesn’t joke about is Anita. And there is one subject he won’t go near, if only because he knows if he did, he wouldn’t get to the end of the act. “He was the sweetest boy you would ever meet,” he says very softly—his voice is rarely louder than a whisper when he talks about him. “He liked people, and people liked him. He had that kind of personality. He was working in a restaurant for a while and doing very well because he had a way with people. He was moving up the ladder there. On July 29 of last year—Shay’s 29th birthday—the phone rang early at the Feherty home in Dallas. Anita answered. It was Rory, David’s younger son. Shey, his older brother by four years with Feherty’s first wife, Caroline, had died that morning of an apparent overdose at their mother’s home. The coroner would later determine that a mixture of cocaine and alcohol had killed him. Anita walked the phone into the bedroom where David was still sleeping. It was Rory who then told his father the news. It was stunning, but not completely shocking. On July 4, Anita had gotten a text from Shey saying he needed to go back to rehab. He had never gotten there. For a year, Feherty had been told by professionals that he needed to stay away from Shey, that he was enabling his drug habit by giving him money. He and Anita had agreed the night before that they would call him the next day—Saturday—to wish him a happy birthday. “The truth is, I’d broken down on several occasions and given him money again,” Feherty says. “He was so sweet, and I couldn’t say no to him. Plus, like all of us addicts, he was a very good liar. He convinced me the money wasn’t for drugs. I’m sure I knew deep down he was lying, but I wanted to believe he was really on the way to coming out on the other side. He stops, unable to go on. Somehow, the family has moved on—as best is possible—through the tragedy. Feherty was diagnosed with clinical depression and bipolar disorder several years ago. Not surprisingly, the depression has worsened since Shay’s death. Fortunately, Anita instantly recognizes when he is, as she puts it, “heading to a dark place,” and will force him to leave the house—go to lunch with her—anything to change his mind-set. Feherty got through the tragedy, he says, because of the overwhelming outpouring of support he received from his family, from friends like McIlroy and from people around the world whose lives he has touched—often at times without knowing it. Wounded soldiers he’d visited or joined for golf or pheasant hunting (an annual trip Tom Watson helps put together in North Dakota), not to mention the golf world. It all kept Feherty going and keeps him going now. The pain, he knows, will never completely go away. He has four other children: Rory, who is now 26; Anita’s two sons, Fred, 35, and Karl, 33; and Erin, their 19-year-old daughter who is finishing her freshman year at Oklahoma. It’s an hour before Feherty has to become Feherty for an audience. He has not paid any attention to the third round of the Masters that afternoon because he knows nothing will be decided until the next day. He is stretched out on a couch in a tiny room in the basement of the Atlanta Symphony Orchestra building. There’s no Internet service, and only by walking down the hall is there cell phone coverage. Feherty knows he’ll hear what’s happening in Augusta soon enough. There’s a piano against the wall on the far side of the room that Feherty could no doubt play quite well if he were so inclined. He’s not. He’s tired and eager to get home to Dallas later that night. He’s already been in Little Rock on Thursday and Biloxi, Miss., on Friday. He eats a few bites of a greasy hamburger and swigs from a bottle of water. He has been doing the show for four years. Has that ever happened? “Isn’t that what I just did?” Feherty answered. Jones put together a proposal, and Feherty unveiled the Feherty Off-Tour act in November 2014. Each year, the number of performances has increased and the venues have gotten bigger. Feherty, who will be 60 in August, has Anita and Andrew Elkin, his agent at Creative Artists Agency, handle all his finances. He and Anita have been married for 22 years after meeting on a blind date in Dallas in the summer of 1995. Each had been through a failed marriage that had produced two children. “She saved my life,” Feherty says. “I mean, literally. My life was an absolute mess when we met. I was trying to raise two little boys [Shey and Rory] alone in a two-bedroom apartment. I was addicted to alcohol, cocaine, marijuana, painkillers and just about anything else you could name. I was running like Forrest Gump and weighed about 150 pounds. When Anita and I went on our first date, I was so thin she thought I was HIV-positive. The first date lasted about half an hour before she walked out after I had reached over, put my straw in her drink and drank from it. Fortunately for me, for some reason, she agreed to go on a second date—to a baseball game. Anita Schneider had to be convinced to go on that second date. She was a successful interior designer who ran her business from home so she had flexibility to take care of her boys, who were 12 and 10 at the time. She wasn’t looking to remarry. But she was talked into meeting Feherty by a mutual friend, Gary Knott. They were the same age, they were both divorced, and they both had two boys. Worth a try, she figured. The first night they met, she wasn’t impressed. Through Knott, Feherty asked for one more chance. Knott told Anita that David had promised he’d show up sober. He did—30 minutes early. Anita thought it was charming that he was trying so hard. In the end, though, it wasn’t his humour, which was apparent, or even his charm. She said yes, and they were married May 31, 1996. Life got better for Feherty—slowly. So was his career change, from good golfer to unique TV presence. To hear Feherty talk now, you might think he never made a cut as a professional golfer and that he can barely remember which end of a golf club to hold. What he does remember is turning pro at 17 after deciding he wasn’t meant to be an opera singer, which is what he aspired to do for most of his childhood. McIlroy says there’s nothing he wouldn’t do for Feherty because he knows there’s nothing Feherty wouldn’t do for him. 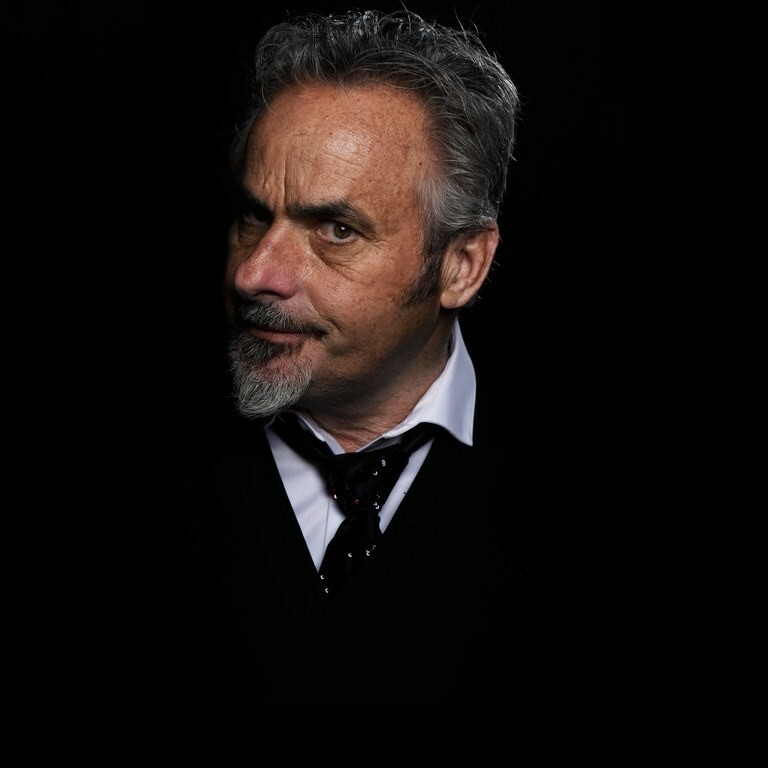 He often tells the story about Feherty coming to find him after his Sunday meltdown at the Masters in 2011. As soon as Feherty got off the air, he drove to where Rory was staying. In Feherty’s version of the story, he was blown away by McIlroy’s ability to keep the loss in perspective. In McIlroy’s version, he couldn’t believe how quickly Feherty helped him forget what had happened. “Once he decided I was really OK, he just sat down with me and my friends and basically did a ‘Feherty’ show for us right there,” McIlroy says. “An hour after he got there, we were all literally falling off our chairs, we were laughing so hard. From Holywood, Feherty moved on to Balmoral Golf Club, where he worked for Fred Daly, the 1947 Open champion and the only Northern Irishman to win it until Darren Clarke in 2011 and McIlroy three years later. Phone calls warning people to leave a building were taken very seriously during The Troubles. Feherty was on the golf course once when a bomb went off. “Very loud pop is all I remember,” he says. What was truly crushing Feherty during that period was his first marriage, to Caroline DeWit, a beauty queen he had met while playing in South Africa. Shey was born in 1988 and Rory in 1992. In 1993, Caroline decided she wanted to relocate to Dallas; Feherty believed it was because of another man. Even so, he followed, if only because he didn’t want to be apart from his sons. He had to go to PGA Tour qualifying school to earn playing privileges. He succeeded but never really adapted to playing in America. He did, however, play well enough at Turnberry in 1994 to have a real chance to win the Open Championship. He trailed co-leaders Fuzzy Zoeller and Brad Faxon by two shots after three rounds and shot 70 on the final day, which left him tied for fourth behind Nick Price, who shot 66 to win. By 1995, Caroline had left Feherty, and he was about to lose his playing privileges on the PGA Tour. He was drunk or high more often than not and had no idea what he was going to do. Then, Anita and CBS came into his life—specifically, in the case of CBS, Gary McCord. The two men had never met, but McCord was in the locker room during an opening-round rain delay at The International in 1995. He was there to find players who would come on-camera and kill time for USA, which had the Thursday-Friday cable rights. The next day, when he got to the tower, McCord told long-time CBS golf producer Frank Chirkinian that he’d invited Feherty. Chirkinian knew Feherty’s reputation for blunt humour. Months later, CBS was forced to fire Ben Wright after his politically incorrect comments about why women—in his opinion—struggled to play golf well. Feherty was sitting in a hotel bar, drinking vodka and Gatorade—”because I was still an athlete,” he says—when he saw CBS producers Lance Barrow and Rick Gentile approaching. Barrow and Gentile offered Feherty a three-tournament contract to take Wright’s spot for the rest of the year. Feherty was hired full time in 1997. Getty Images (2) Feherty with his contemporaries on the European Tour (left) during his playing days, which included competing for Europe in the 1991 Ryder Cup. Having a job he was very good at and a happy marriage didn’t mean that Feherty got sober overnight. When Erin was a pre-kindergartner, Anita came home after dropping her from school one morning and told David if he didn’t get sober, she was leaving him. He did. For a while. But never for good. He drank so much on a trip to Barbados early in 2006 that he got alcohol poisoning. After that, he and Anita went to an addiction therapist. Still, he was fighting a losing battle. Then, that summer, he was doing the play-by-play for an exhibition match on Prince Edward Island between Tom Watson and Jack Nicklaus. Feherty has told the story often about that being a turning point in his life. It wasn’t as if Watson sprinkled magic dust on Feherty and he was cured. Anything but. Feherty wasn’t willing or able—in Anita’s opinion—to handle rehab. Watson found him an AA group in Dallas, and even though it was difficult for Feherty, he went to a meeting every day. Until one day, he didn’t. He was north of McKinney—about 35 miles from Dallas—when he finally called Anita to come and get him. “David is OK in a group if it’s on his terms,” Anita says. Unfortunately, he was hit by cars on three occasions on the bicycle. The first accident crushed his left arm so badly he had to give up playing golf. The third one forced him to give up the bike. But, with a lot of therapy and support, he came out on the other end—sober. If Anita ever thinks things might go bad again, she’d call Watson. Watson says their friendship really took off when they went to Iraq together in 2007 as part of a trip to entertain the troops, put together by Rick Kell, co-founder of Troops First Foundation, a group Feherty has been extremely involved with for years. When Feherty became an American citizen in 2010, one of the people who flew to Dallas for the ceremony was Watson. In 2016, after Watson played his final round at the Masters, his family threw a party with about 60 friends invited. The star of the evening was Feherty, who was funny and poignant. The first person to tell you that Feherty still struggles with his addictions every day is Feherty. He takes 14 pills a day—seven of them psyche meds—to help him deal with his depression, bipolar disorder and various physical maladies that will never go away. He left CBS at the end of his contract in 2015 and signed a deal that calls for him to do 16 of his “Feherty” shows each year for Golf Channel, NBC’s golf tournaments and various other events, like the Olympics. NBC offered more money than CBS—a good deal more—but it wasn’t so much the money as the chance to do some things that were different—including spending some of his time in a tower rather than walking with the final group—that made the deal attractive. Add the 24 Off-Tour dates, speaking gigs, the occasional outing and events for Troops First, and he’s on the road almost nonstop. His voice catches. The emotion is quite real. “Happens to me every time,” he says later. Billy Feherty died in November 2016 of Alzheimer’s at the age of 91. “I miss him,” his son says. The humour is matchless. But those who know him best will tell you it is the remarkable kindness and the compassion that his wife and friends speak of that makes Feherty Feherty.